Is the UK Really Swimming in Sh*t? Bathing water quality is something that receives little positive media attention. The Cameron’s annual trip to Cornwall successfully made the headlines for the wrong reasons. Whether or not you are happy at the thought of David Cameron swimming in poo instead of talking it, bathing water quality is something that users of coastal waters should be, and as of September, will be much more aware of. This article outlines some important points about bathing water quality in an unusually positive light that you probably won’t find in a newspaper! The UK, like all European countries looks to the European Bathing Water Directive to give the Environment Agency (or Scottish Environment Protection Agency or Environment Agency Wales) guidelines on how to monitor and categorise UK bathing waters. The latest European Bathing Water Directive says that from September people using the waters should be told the quality of bathing water in which they are about to dip! This probably means putting up a sign close to the beach or car park to tell bathers which category (Excellent, good, sufficient or poor) their bathing water falls into. These signs will also say whether the bathing waters have been recently polluted with a short term pollution e.g. a burst sewer pipe. Although I don’t enjoy the idea of lots of signs near beaches I think this is a great thing. It keeps water users informed and empowers them to make their own decision as to whether they want to use the water. It also has the added advantage of putting more pressure on local councils to invest in improving bathing water quality since signs stating poor water quality are likely to put bathers and tourists off from using the local area. The main issue I can see with these signs are that the categories are fairly meaningless unless you work in water or the environment. So what do we mean by good and should we stand for sufficient bathing water? Next year, or this winter if you are hardy, when you head for a swim you see a sign stating the bathing water classified as “Good”. But how good is good? Why not excellent? To answer these questions some context and knowledge of how water quality monitoring is useful. Currently the Environment Agencies in the UK collects weekly samples from each of the 622 bathing waters throughout the bathing season (15 May to 30 September) and count the numbers of two types of bacteria: Escherichia Coli and Intestinal Enterococci. These bacteria are generally pretty harmless coming mainly from the guts of warm blooded animals, importantly this is where most bacteria and viruses which could be in the water and harmful to us also come from. Escherichia Coli and Intestinal Enterococci therefore give us an indication of the pollution in the water which may be harmful to bathers and are aptly called “faecal indicator bacteria” (FIB). FIB are found at much higher concentrations than any bacteria or viruses which might be harmful to human health. Therefore if we find low numbers of E.coli and Enterococci there is little chance of dangerous bacteria or viruses being present. Conversely if we find high numbers bathers may be at risk of becoming ill (Disclaimer: There are a number of other reasons and scientists regularly debate about the merits of different indicator bacteria). For almost every bathing water in Europe FIB are counted weekly and the table below (From the European Bathing Water Directive) is used to give a classification. The classification on beach signs will be an average over the previous 4 years (Another disclaimer: It is slightly more complicated, but that is the general gist! ). Now, this means relatively meaningless but it demonstrates just how good and improved bathing water quality is. To find just 250 E.coli in 100ml of seawater is impressive considering up to 10 million (10,000,000) have been found in just 1 gram of poo! Also, consider that before September 2015 there were just 2 categories, Mandatory (The lowest that should be achieved) and Guideline (the highest standard); the new ‘Good’ category is about twice as strict as the previous best (Guideline), with ‘Excellent’ being twice as strict again! What this really means is that if you get to a beach that is classified as ‘Good’, well it is pretty darn good! The nice thing is that these new standards reflect the fact that bathing water quality has been improving and actually encourages further improvements with its stricter limits. It is worth pointing out that these continual improvements in bathing water quality come from a combination of good EU and government policies, good implementation of these policies and hard work by the environment agencies, water companies and local councils. Now the second question “Why is the bathing water quality not “’Excellent?’” That is a pretty tough question and one which we won’t get to the bottom of, but knowing the problems of improving bathing water quality further is actually more interesting. Improvements in water quality are linked with improvements to public health since better quality bathing water directly reduces the risks of illness to bathers. Over the past few decades bathing water quality has improved quickly, however further improvements become harder and harder to achieve. The reason for this is clear if we look at the starting point of sewerage in the UK. At the beginning of the 19th Century, most sewage found it’s way into rivers and water courses, either by being collected and dumped into rivers, thrown onto the streets to be washed into rivers or carried to rivers by early sewers. This caused serious problems. In London, the Thames became a stinking, festering mess every summer until 1856 when it became unbearable and something needed to be done (This was decided by the politicians and gentry after seriously considering moving the houses of parliament due to the stink, not out of concern for public health!). The engineer Joseph Balzegette was commissioned to deal with the problem and design the London sewer system which was completed in 1870. This style of sewer is what a significant proportion of the UK has today. Any house built before the 1960’s/70’s will have a sewer which collects all water Grey (from washing, showers, baths etc.) and Black water (from toilets) as well as all surface water from rain. 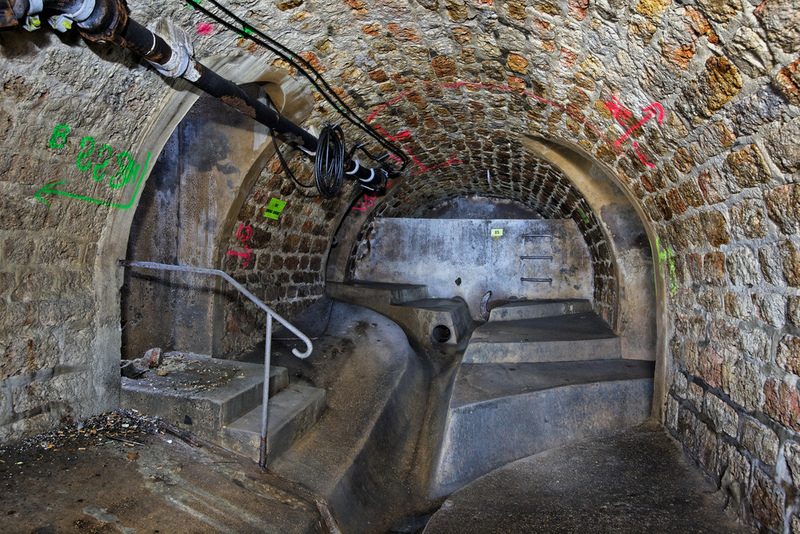 These combined sewers once carried all household and surface water directly to water courses or the sea, nowadays wastewater is treated at a wastewater treatment plant before being released. More modern houses have separate sewer systems which means that rainwater is collected separately from the roof and land and does not go into the sewer. The release of wastewater may seem initially distressing and a likely cause of bathing water pollution, however there are a number of measures in place to ensure that bathers are protected. Firstly, the bathing water directive (See above! ), the EA check every week throughout the season that UK bathing waters are safe; currently it is predicted that more than 95% of UK bathing waters will be good or excellent standard this year. 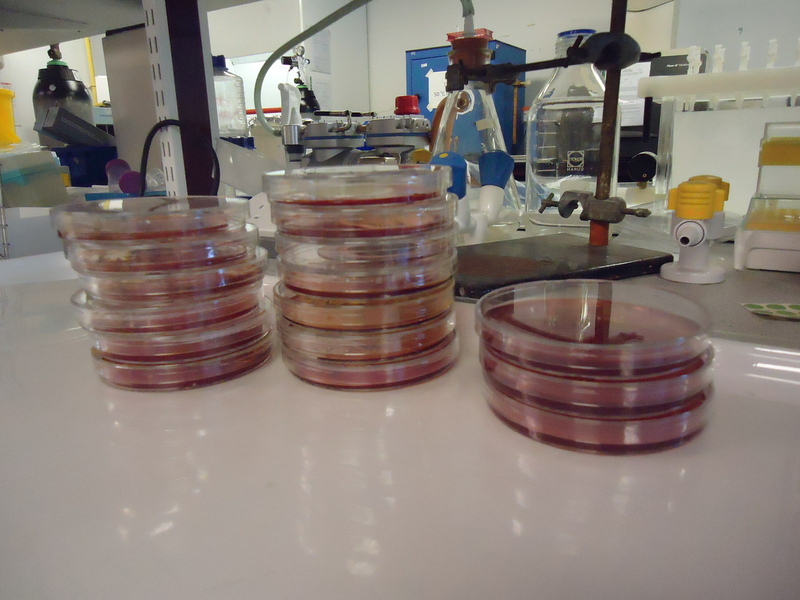 Secondly, water companies take extra care to have additional treatment such as UV to kill many of the microbes. Thirdly, most wastewater treatment plants on the coast have long pipes to carry the wastewater far out to sea away from bathing waters. This means that it is unlikely that wastewater treatment plants which operate all day, all year round are causing problems to bathing waters. So if we don’t need to be concerned about wastewater being discharged, what is the problem? One problem is actually the very old sewer system present in much of the UK. All sewers have a maximum capacity of water which they can carry, in heavy and persistent rainfall the amount of water going into the sewer might exceed this capacity. The design of these old sewer systems are actually very clever, were it not for this clever design exceeding the amount of water a sewer can carry would cause toilets and drains to back-fill causing sewage to flow into homes. To prevent this combined sewers are designed with overflow points called combined sewer overflows (CSO’s). 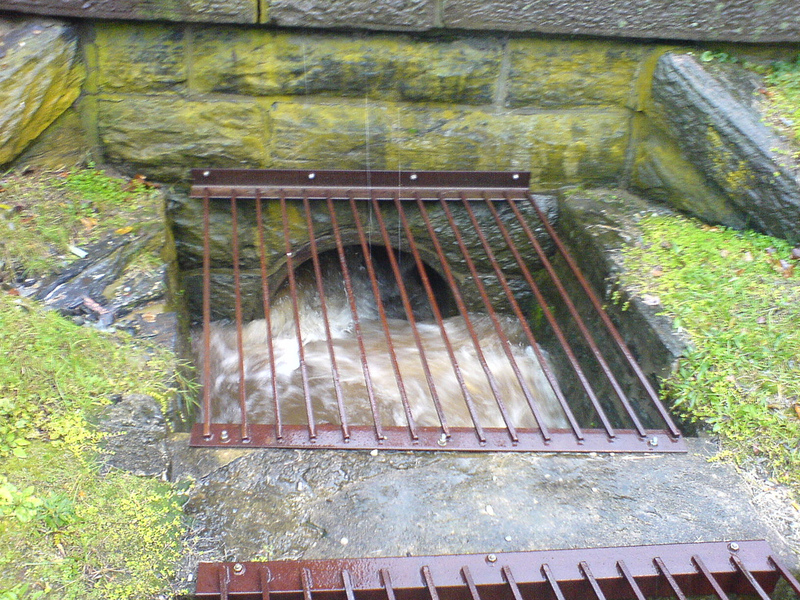 In heavy rainfall the water in the sewer escapes through these and prevents it entering homes. 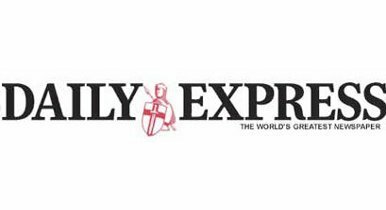 This is excellent news for homes, but this is what presents a problem for bathing water quality since some untreated wastewater is entering watercourses. CSOs are what often gain the, usually negative, attention of the media and organizations like Surfers Against Sewage (SAS) who, amongst other things, campaign for improvements in bathing water quality in the UK. What is often misunderstood or miscommunicated is that whilst what is flowing out of the CSO does contain sewage, this is diluted greatly by the rainwater and the longer that the CSO flows, the less sewage there will be. Furthermore, this is entering the sea (which is pretty big!) so the sewage becomes even more dilute. That said, CSOs do lower the quality of bathing water but usually only for a short amount of time. If you are worried about CSOs close to your local bathing water, they are classed as short term pollution and information will be on the new signs, or SAS have an app which, when the water companies tell SAS the CSOs are overflowing, is updated to let you know which bathing waters might be affected. In the interests of improving bathing water quality it may seem a sensible solution to block off all the CSOs; if you look at the comments section of any online newspaper article you are bound to find comments demanding this action and declaring CSOs and our sewer system as an abomination. I think every water company in the UK would love to be able to block off all CSOs and modernize all of their sewers, but financially this is just not feasible (actually it would probably come close to bankrupting the country). Blocking off CSOs is unlikely to improve bathing water quality long term since they only affect water quality in heavy rain and for short periods of time, so what is the best way to improve water quality? Unfortunately there is no easy answer as each bathing water is likely to be polluted from a number of different sources. These sources could be dogs or horses using the beach, water running off farmland, a broken sewer pipe or even misconnections which occur when construction companies confuse the pipes leading to the surface water drain and those leading to the sewer resulting in rain water entering the sewer and sewage entering bathing waters. For local authorities and water companies improving bathing water quality is about finding these sources of pollution and finding possible solutions. There are many other things which are helping to improve water quality and things that everyone can do to help. In order to reduce the frequency that CSOs overflow new housing developments and roadways are built with separate sewers, meaning current sewers are not overloaded. If you live in a modern house it is important to check that your wastewater is going into the sewer and not straight into a nearby watercourse. Either check yourself or grab a plumber friend to check the plumbing of your new house is correct. If you live in an older house, modernizing it with more sustainable technology which allows us to reduce the amount of water we use such as low flow toilets or grey water reuse technologies will reduce the water we send to the sewer as well as reducing water bills! If you are a dog owner, picking up dog poo is important, often I see people covering up dog poo with sand but this also has a negative impact on water quality when the tide comes in – as well as being disgusting to stand on! Most importantly, excellent bathing water quality is what everyone is interested in from the people using the water to the local council, water company and environment agency looking after it; so if you see something you are concerned about contact your local water company and they will go out and investigate it. As of September you should find details about local bathing water quality close by. Check here to find online details of your local bathing waters. Bathing water quality in the UK is generally very, very good! Work by water companies, the EA and local authorities has led to continually improving quality over the last 20 years. Improving bathing water quality even further is difficult because there are many sources of pollution. The UK sewers are (mostly) pretty old! In heavy rain they are designed to overflow which stops sewage coming back into your home (Yey!). Sometimes these overflows can affect bathing water quality but because the wastewater is diluted so much by the rain and seawater it is rarely a big problem and lasts only a short amount of time. New and modernized homes and estates have separate sewer systems so surface water won’t go into the sewers so that sewers are less likely to overflow, if you have a shiny new home make sure the sewer is plumbed correctly. Everyone can do something to help bathing water quality a wee bit. If you see anything that concerns you regarding bathing water quality contact your local water company who will investigate, they want safe bathing waters as much as you do. Previous Previous post: Water Effort That Was! Next Next post: Standing up for Science: Ten Top Tips!